There is no question that A Tribe Called Quest is one of the most legendary hip-hop groups of all time. For the last twenty-five years, Q-tip’s signature velvety voice and Phife Dawg’s relentless staccato flow have influenced hip-hop heads, young and old alike. Released in 1991, The Low End Theory, contains a laid-back feel that is heavily influenced by jazz and the experiential narrative of two twenty-something African-American men from St. Albans, Queens. Featuring guest bassist Ron Carter, The Low End Theory is driven by the low, pulsing notes of stand up bass. Whether its “Butter,” “Jazz (We’ve Got), or “Verses From The Abstract,” the pulse stays on the far backside of the beat, creating the perfect backdrop for Phife and Tip to tell their stories. 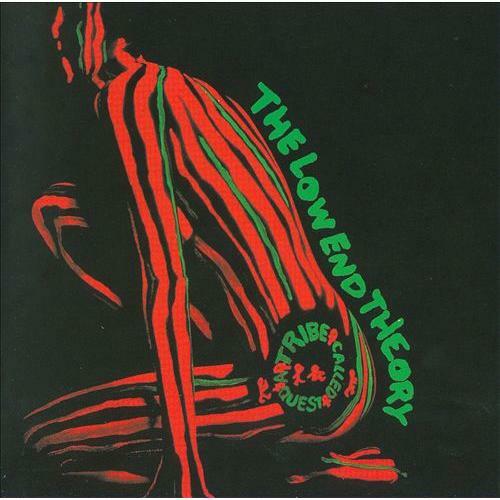 With DJ Ali Shaheed Muhammad on the 1’s and 2’s as well as features from Busta Rhymes, Sadat X and Diamond D, The Low End Theory is a primary document of sorts, allowing us to revisit the sounds and feelings of parts of hip-hop in the early 90’s. On The Low End Theory, A Tribe Called Quest’s second album, they are in no rush to explain anything to you. Instead, the tempos are in the perfect spot for them to get there, when Tip and the Five Foot Assassin are good and ready. Don’t get me wrong, they want to rap and tell you their stories through the art form that is music. However, as they’ve done throughout their entire career, they do it on their own terms, at their own pace. Thinking about how the music industry is so heavily influenced and based around one-hit-wonders and what’s trending, it’s important to appreciate the artists, past and present, that make the music they want to make, for themselves, despite the industry. With The Low End Theory, A Tribe Called Quest did this, and continues to do so. Second only to Midnight Marauders.